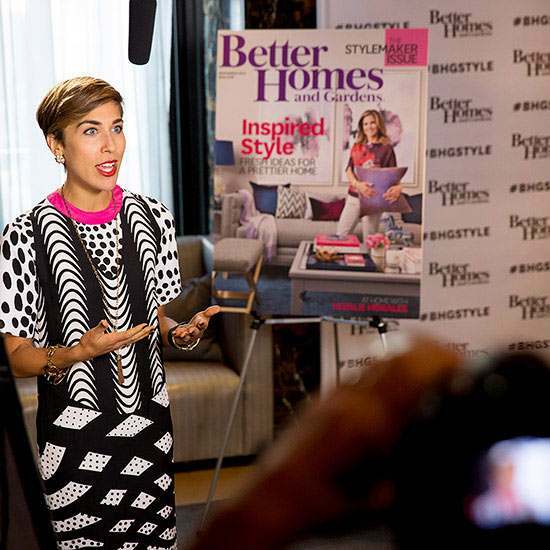 Better Homes + Gardens Best New Product Awards, April 2015 + April 2016 - Host of the national media tour, appearing (via satellite) on local TV and Radio broadcasts in over 20 cities per day. 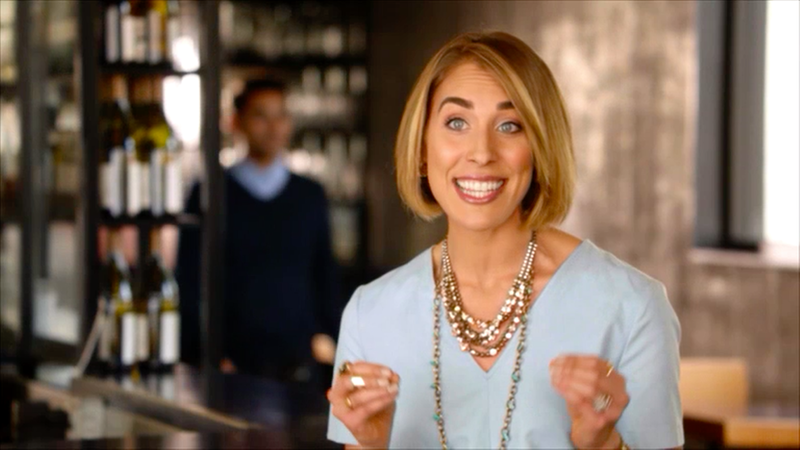 Kashi Cereal Brand Ambassador, October 2015 - On-air host for the storytelling web series created to highlight the origin of their latest products. Good Morning America, Dec 2014 - On-air style expert for a live fashion segment featuring Pinterest-worthy party style for New Year's Eve. VOGUE Magazine X Brahmin Handbags, 2014 - On-air style expert and brand ambassador for 2014; Official appearances at multiple shopping events and the featured host of a NYC Taxi TV commercial during NY Fashion Week in September. BareMinerals, Fall 2014 - On-air style expert for the brand's international 2014 TV infomercial (airing in the US and Japan); past host for multiple web-based beauty videos appearing in social media campaigns and paid placements. Lucky Magazine x Marshalls, Fall 2013 - On-air style expert for their "Closet Confidential" series, featuring Jessie's favorite vintage and current trends. Harper's BAZAAR, Spring 2012 - On-air host for a 6-week 12-city media tour featuring the latest trends on news shows around the country. Huffington Post Live, Ongoing - Regular on-air contributor for trend-based fashion segments and celebrity style commentary. A thorough list of past speaking appearances can be found here. Pepper Brunch, 2012 - 2015 - Founder and host of a free monthly/quarterly event for women in NYC. Each brunch was centered around a different theme (Career, Self-Image, Lifestyle Design, etc.) and featured an interview between Jessie and an expert in that field. You can watch a video of the last event here. Metro New York Nazarene Women's Conference, September 2014 - Attended as the keynote speaker and delivered four messages on "Placing Our Identity in Truth" over the course of the weekend. You can listen to Part One of the talk right here. New York University, 2013- Guest speaker for the New Media Program on topics including "Blogging for Businesses" & "Social Media Marketing". Lean Cuisine / Nestle, 2012-2015 - Creative consultant for new concepts and digital strategy for existing products. Great Love Getaway - Coordinates and co-leads a twice-annual retreat to Puerto Vallarta, Mexico for listeners of the Marriage is Funny podcast. GAL Getaway, Summer 2018 - More info coming soon... Sign up here to be notified about updates as they're available!